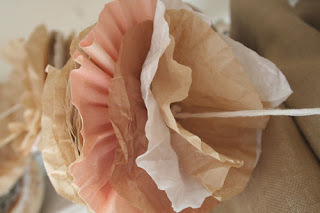 a saturday smile: Coffee filter garland. Make this adorable garland out of coffee filters. 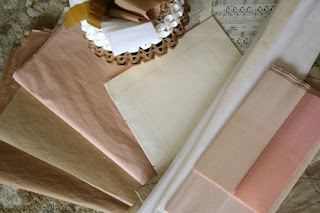 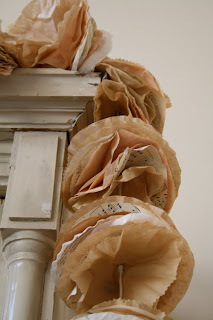 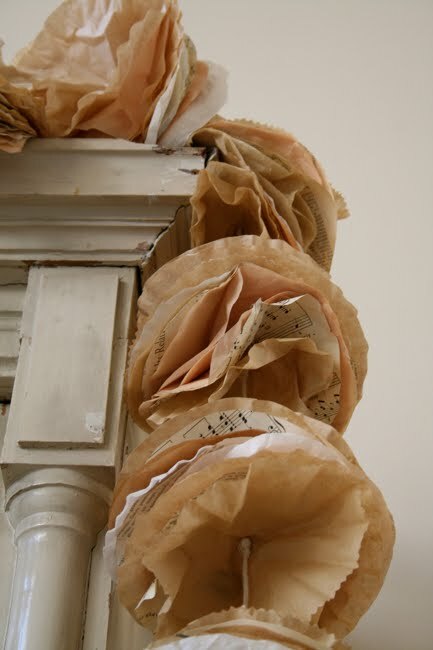 Add color by using thin tissue, pattern paper, old book pages, music notes, and thin fabric like sheer linen. 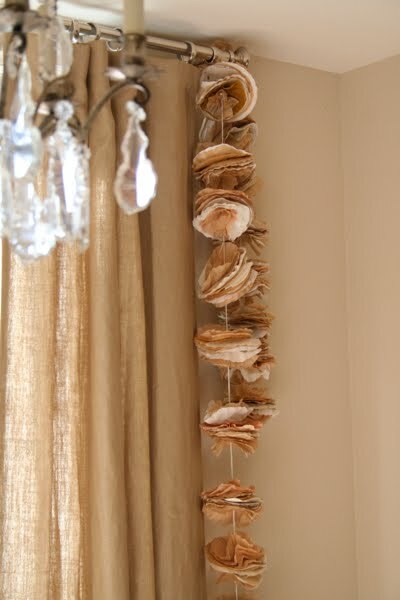 Knot and tie the circular pieces on an old string or piece of twine. Drape over window treatments, hutches, or hang from light fixtures.